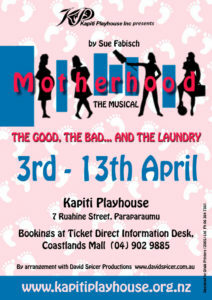 Motherhood the Musical - Kapiti Playhouse Inc. Ticket are available now from Coastlands TicketDirect Information Desk or by calling 04-902 9885. Also available online on the TicketDirect website. Please note additional fees may apply for online purchases. Four women share their insights, challenges and pleasures at a baby shower. 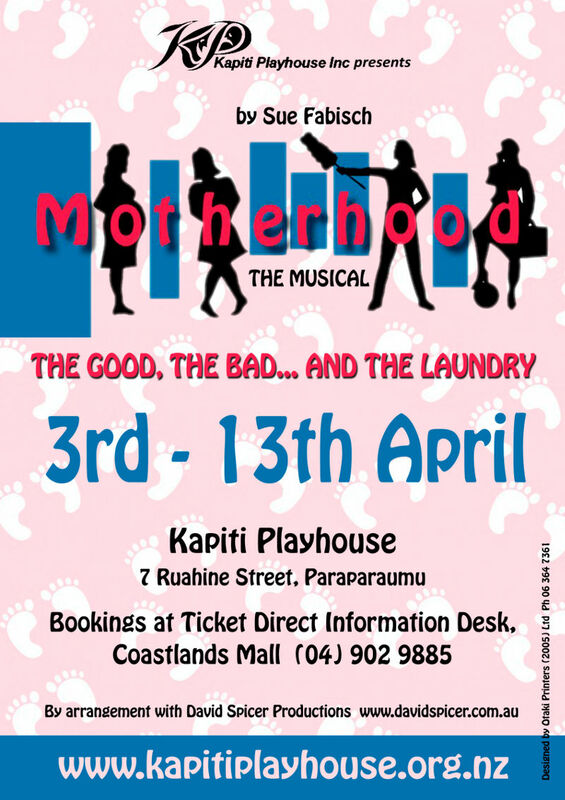 In 90 minutes of fun, you’ll get a peek into the powerful friendship of Amy, a soon-to-be first-time mum; Brooke, a hard-working lawyer; Barb, a stressed-out mother of five; and Tasha, a single mum seeking to balance work, her family and her divorce.